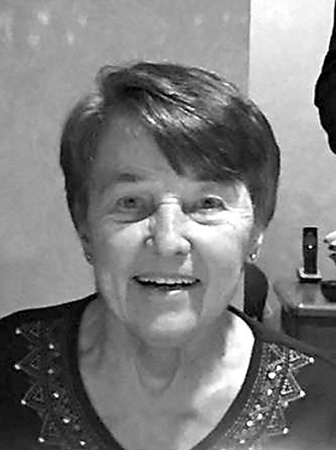 Genevieve “Jennie” DeCenty, 86, of Southington, formerly of New Britain, passed away peacefully in the early morning of April 6, 2019, at the MidState Medical Center with family members by her side. She is survived by two daughters, Deborah Hayes and son-in-law, Scott, Donna Nessing and husband, William; five sisters, Lucy LaFlamme, Dorothy Pryzybylo, Sophie Pyzow, Irene Courtemanche (Rene), and Bernice Murzyn (Henry); her grandchildren, Matthew Bajek, Ryan Nessing, Jeffrey Nessing (Reeann), Kaelan Hayes, and Logan Hayes; one great-grandson, Daniel Nessing; and several nieces and nephews. Jennie was predeceased by her sister, Anne Manning. Her family will receive relatives and friends at the Wallingford Funeral Home, 809 North Main St., Ext., Wallingford, on Saturday, April 13, 2019, from 1 until 3:30 p.m. Funeral services to follow at 3:30 p.m. in the funeral home. Interment will be private. www.wallingfordfh.com . Posted in New Britain Herald, on Thursday, 11 April 2019 18:23. Updated: Thursday, 11 April 2019 18:25.